Use a pressure cooker, or rice cooker or boil water in a utensil using excess water and drain the water after the rice is cooked. 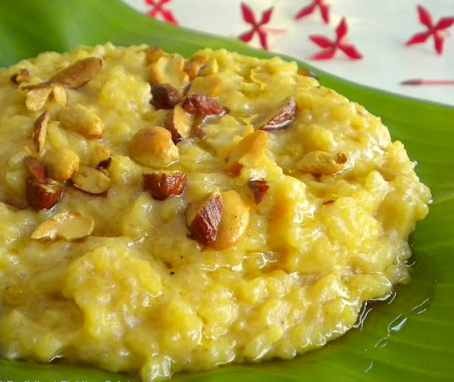 Toor dhal – 1 tsp. 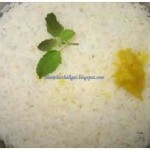 Raw rice – 1/2 tsp. Blend curd with a little water. Mix turmeric powder and salt to curd. Keep aside. 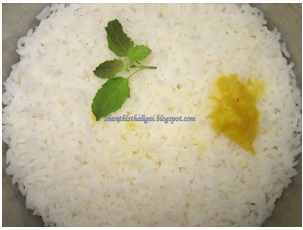 Soak toor dhal, jeera and rice in water for 15 minutes. Grind it with coconut, ginger and green chillies to a fine paste. Cut lady’sfinger into long pieces. Heat a pan, add oil and ghee, temper with mustard seeds, hing and curry leaves and saute the lady’sfinger well alongwith a pinch of salt. Now add the ground paste and allow it to cook till the raw smell goes. Pour in the blended curd and heat till frothy. (Do not bring it to a boil. When boiled it will curdle). 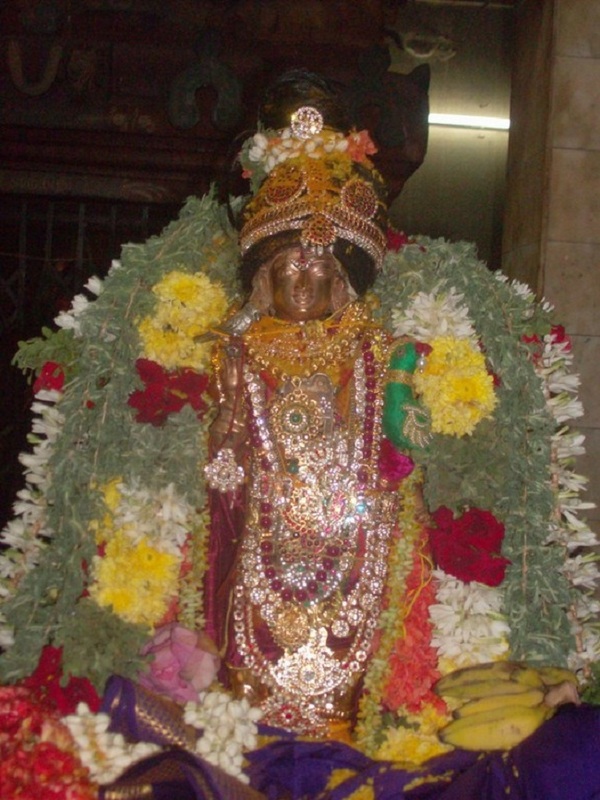 Generally, ladysfinger and ashgourd is used for this kozhambu. 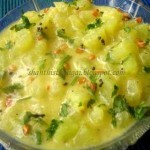 If using ash gourd, boil it with salt and add to the kozhambu. 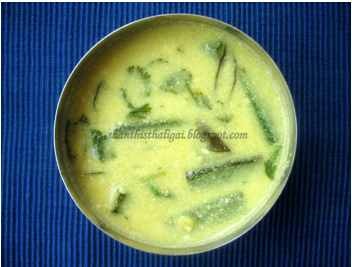 Toor dhal is not used and chilli powder and dry red chillies are used alongwith green chillies. Coconut oil is used. Onion mor curry, kumbhalanga mor curry, cheera mor curry etc. are the different names named after the vegetables used in that. Besan flour and ajwain is added to the curd. Chilli powder is also added. Pakodi kadhi (besan flour fritters) is popular in North India. Kadhi is also made without pakodis. 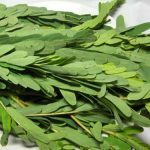 Sundaikkai vathal (Dried turkey berry) – 10 nos. Urad dhal – 1 tsp. 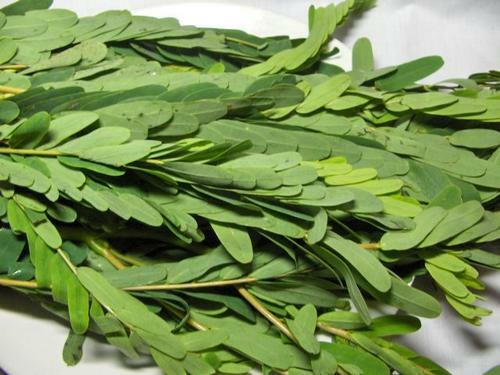 Take out the agathi leaves, discard the stem and chop it finely. Boil it in water alongwith turmeric powder and salt till done. Drain the water completely (Do not discard the water, and this can be drunk). Heat ghee and fry the sundaikkai vathal (dried turkey berry) till dark brown. Keep aside. Heat oil and temper with mustard seeds, urad dhal and chillies. Add the boiled agathi leaves, sugar and coconut. Saute well and finally add the fried sundaikkais. 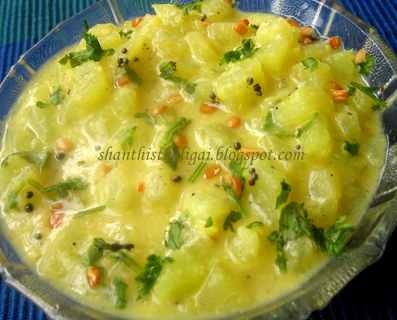 Mix well and this is an excellent side dish with Dwadashi meal. Urad dhal (split) – 1 tsp. Pressure cook moong dhal with turmeric powder and mash it well. Keep aside. In a pan, heat oil and fry pepper, chillies, and urad dhal till golden brown. 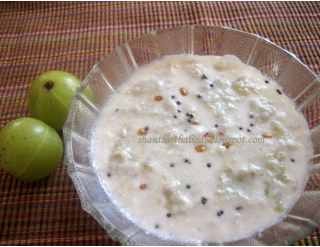 Grind it in a mixie to a paste alongwith scraped coconut. Peel and dice chow chow to cubes. Cook it with a pinch of turmeric powder, required amount of salt and hing. When done, add the mashed dhal and ground paste and bring it to a boil till thick. Season it with mustard seeds, urad dhal and curry leaves. Garnish with coriander leaves. Goes well with South Indian meals, rice, pooris and chappatis. Coconut scraped – 1 tsp. Roast, toor dhal, pepper, jeera, red chilli& hing in a spoon of ghee and grind it in a mixie alongwith scraped coconut to a powder or paste. 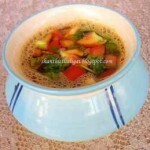 In a vessel, add 1 cup of water, salt, slit green chilli, and finely cut tomatoes. Allow it to boil for sometime. Add the ground powder and 1 more cup of water and bring it to a boil. Garnish with coriander leaves and season it with mustard seeds. 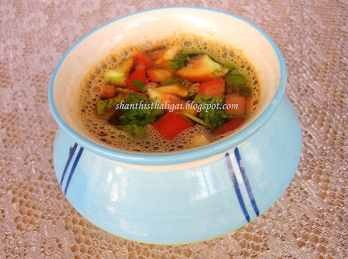 Variation: You can add rasam powder instead of dry roasted powder. Urad dhal – 1/2 tsp. Steam cook nellikai and discard the seeds. Mash the cooked nellikai using your hand. 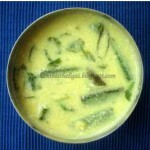 In a mixie, grind the green chillies, salt and scraped coconut, add mashed nellikai and give it a whip. 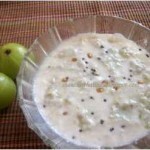 Transfer it to a bowl and add the curd . Mix well. Wash rice and dhal. Drain the water completely. Heat a deep and heavy bottomed vessel (preferable pressure cooker) , & roast the rice dhal mixture till it changes colour and slightly yellow. Now add 1/2 litre of milk and allow it to boil in the milk. ( OR) pressure cook for 4 whistles. When done, mash the rice well. Soak saffron in a tablespoon of hot milk. Crush jaggery, dissolve in very little water, strain out the dust and add it to the mashed rice alongwith sugar. Now add 1/2 of the ghee and the remaining milk mix well and stir for a while. The consistency should be semi-solid. Add powdered cardamom, saffron and pachaikarpooram. Add in the remaining ghee. Garnish with fried cashews and kismis. NOTE: The dish should be semi-solid and you can add more milk to get the desired consistency. These are the list of dishes to be cooked on a Dwadasi day. 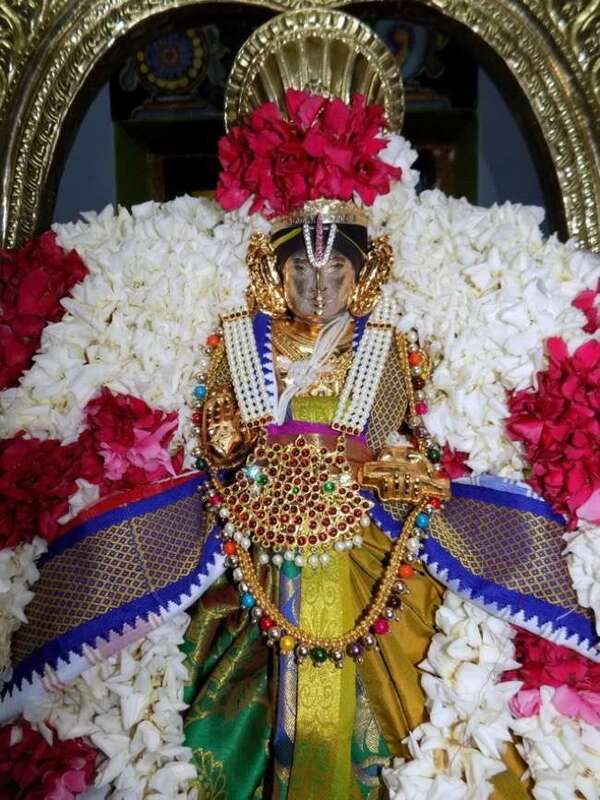 Thanks to Smt. 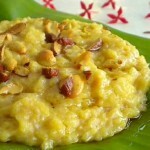 Shanti Krishnakumar of shanthisthaligai.blogspot.com, for providing this list of recipes. 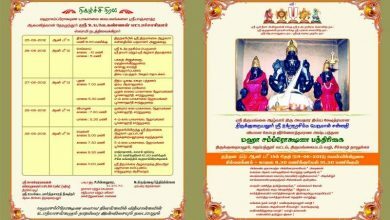 Very useful information but at what time dwadashi paranam to be taken. From where will I get this information. 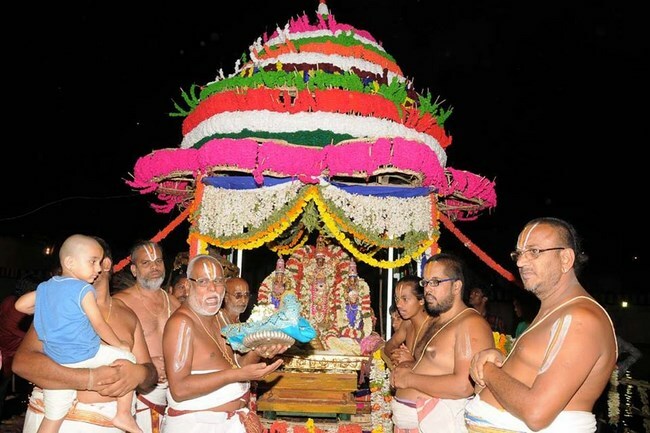 I am unable to get agatha keerai, is it allowed any other keerai like methi for this paranam. Pl provide me the same. (the almanac will help). 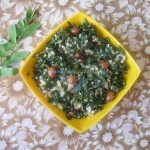 Agathi keerai can be dried and stored in a dry container or fresh leaves can be stored in deepfreezer. 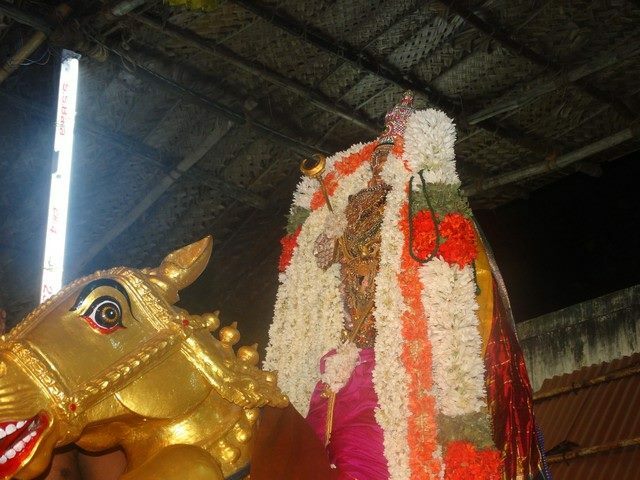 similarly nellikai can be cut or grated,sundried and stored. Also unsalted sunddakkai can be bought at any store. Dear mam,thank you so much for such a informative n detailed recipe!